« Did the pioneers know how to count? 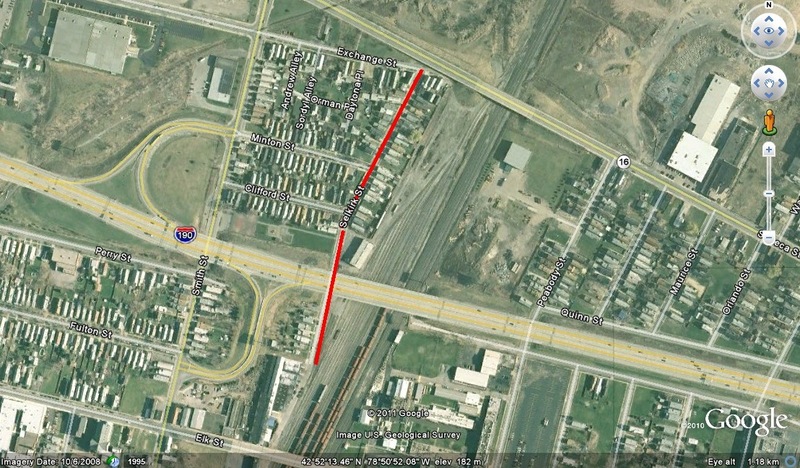 Selkirk Street is a street running approximately 1/4th of a mile south of Exchange Street, near the railroad corridor. The land around Selkirk Street was originally owned by Henry Box. Box was a lawyer in Buffalo, and when his land was subdivided for development, he decided to name one of the streets after his brother-in-law, John Harley Selkirk, an architect. John Henry Selkirk was born in Connecticut in 1808. He studied architecture and moved to Buffalo in the early 1830s. When he arrived, the Village of Buffalo had not been fully restored after the burning by the British during the War of 1812. Therefore, it was a good time to be an architect. 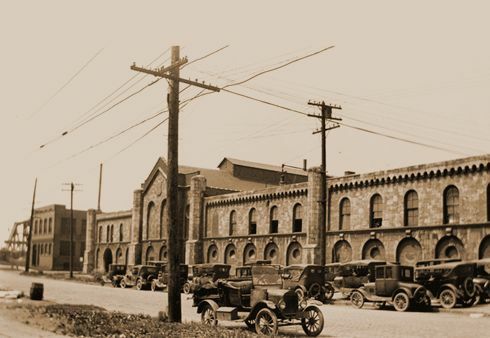 Many of his buildings were built in the Romanesque Revival style, which is most famously represented in Buffalo by the Richardson Complex near Buffalo State College (designed by Henry Hobson Richardson). Selkirk designed and built the Asbury Delaware Methodist Church (aka Ani DiFranco’s Church) at Delaware and Tupper, the Calvary Presbyterian Church on Delaware and Tracy Street (demolished), old Central Presbyterian Church at Pearl and Genesee (at the time the largest protestant church in town). In addition to the churches, he designed the Buffalo Gas Works Building (now the facade of the Health Now Building on Church Street), Western Savings Bank and the Erie County Saving Bank. He also built many homesteads including the Rumsey Homestead at Delaware and Tracy, the Rich home at Main near Dodge, and the Sheldon Thompson mansion at Niagara Street and Porter Avenue. He also built twin houses on Niagara Street between Huron and Georgia Streets for himself and his son. At the time, that portion of Niagara Street was one of Buffalo’s better neighborhoods. John Henry Selkirk died in 1879. 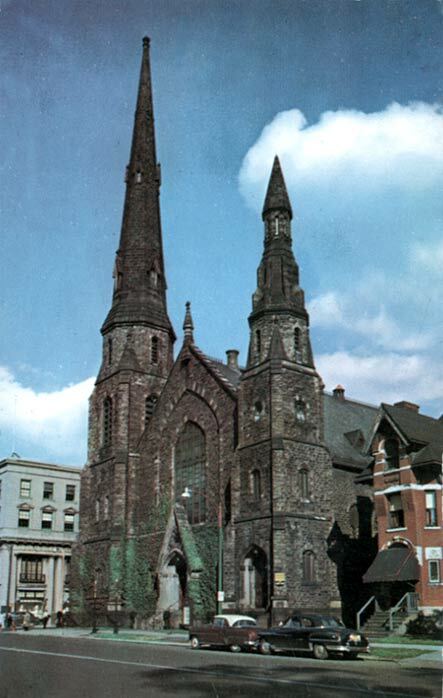 The only remaining buildings designed by him are the Church at Delware & Tupper and the facade of the Gas Works on Chruch Street. Source: “Named for John Selkirk”. Courier Express Aug 21, 1939, sec 5 p2. As I understand it, the Erie County Savings Bank building was finished in 1893, designed by George B. Post, who also designed the Old Post Office. Thanks for your comment, Peter! 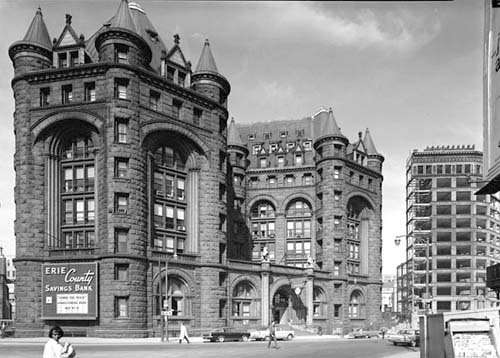 I looked into it briefly – you’re correct, the building pictured here was designed by George Post. Mr. Selkirk designed the original Erie County Saving’s Bank, which predated this building and opened in 1867 and was at Main and Court. I’m going to look into this further to see if I can find pictures of the original bank! Thanks. Nice site. Look forward to seeing the Selkirk version. Flanking Court St at Main there was a matched set of handsome Greek-temple-like buildings. The Northerly one was, I think, the Western Savings Bank. The “notch” in the white building accommodated the older building. Don’t recall what the southerly building was.